We meet each month on the Second Sunday afternoon at 3:45 – 4:30 for a group lesson with hands-on turns for everyone and some useful tips and info. Open to all students, teachers, and newbies. Enhance your Alexander Technique in a relaxed atmosphere. Sometimes there are more teachers than students! Usually a very small group. Just walk in! Regular teachers: Claire Rechnitzer, Ellen Bierhorst and Alan Weiner. 6:30 pm Alexander Technique Study Group ... @ Call for current location. 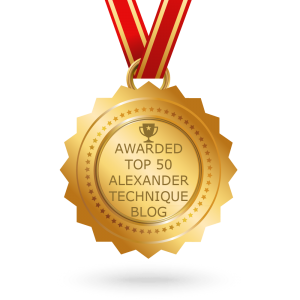 Alexander Technique Study Group ... @ Call for current location. We meet each month on the Second Sunday afternoon at 3:45 – 4:30 for a group lesson with hands-on turns for everyone and some useful tips and info. Open to all students, teachers, and newbies. Enhance your Alexander Technique in a relaxed atmosphere. Sometimes there are more teachers than students! Usually a very small group. Just walk in! Regular teachers: Claire Rechnitzer, Ellen Bierhorst and Alan Weiner. Parking on Lafayette Avenue.